From NYC to LA artist KaNO has been doing art since he got his BFA in Visual Arts. 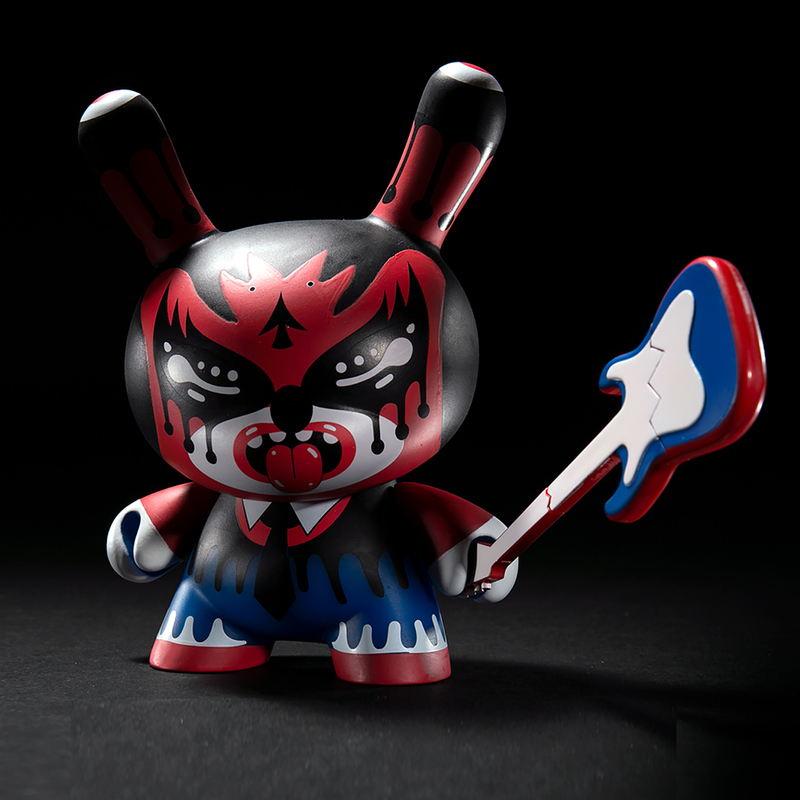 Working as a designer for studios such as Warner Bros, Cartoon Network and Hasbro we are happy to have him in the new Kidrobot x DCON mini series with his Kung Fu Dunny. 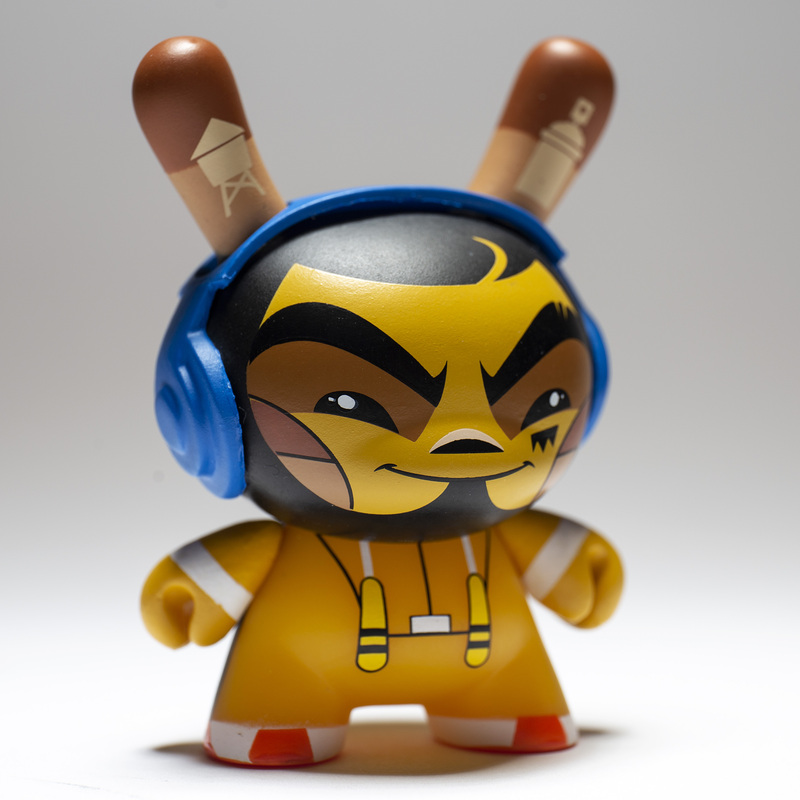 “My dunny is inspired by some of my favorite things, the yellow jump suit is a tribute to one of my biggest hero, Bruce Lee. The infrared hit on the feet are from one of my favorite pair of kicks, the Nike Air infrared 90. The Yin and Yang symbol on the back represents work life, art life and family life working in perfect harmony. When My kicks are right and everything is balanced, I throw on my Beats headphones and attack the drawing board”. Designing toys, trying to line up my next mural as well as a pop up shop, building with prospective clients, while holding down a character design gig at Cartoon Network Studios. Yeah, I always wanted to be an artist. I got to where I’m at by staying focused and working hard towards my goals, one day at a time. There are no shortcuts! The 3 projects I’m most proud of are the T-shirts I designed for Nike/Jordan. The Dragon King toy I designed as a tribute to Bruce Lee, which is now Licensed by The Bruce Lee estate, and last but not least I’m extremely proud of the 40-foot mural I painted for the LISA Projects in NYC. 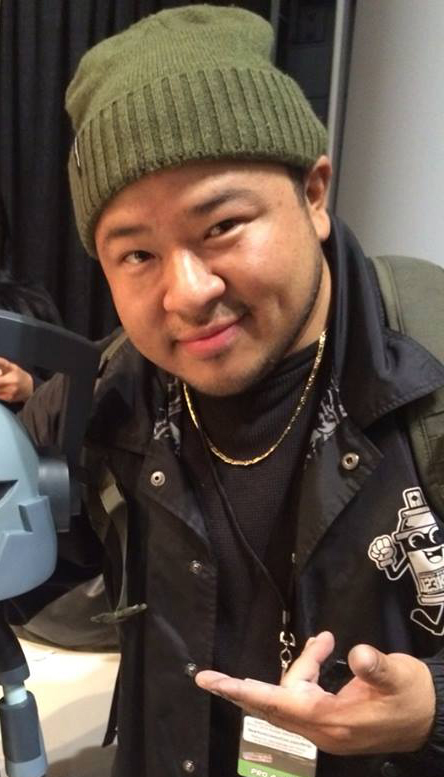 Designer Con is a celebration of the artists and their art. It’s where fans get to meet and hang with their favorite artist, without the intimidation of a gallery. Whether you’re a collector or a creator, you’ll always find something to stimulate your creative needs. There’s been several eras of KR, but to me … KR will always represent the alternative art spirit. It’s where artist from different disciplines utilize toy making as a new medium of expression within their art. I’ve never had a job that wasn’t art related, it’s given me my identity, my purpose and my livelihood. It’s how I see the world and I how I express myself. I designed AJ in the Nick Jr show Blaze. There’s a cartoon character based on me in the hit Adult Swim show called The Venture Brothers, his name is Kano! I also make a cameo in the DC animated movie JLA Adventures: Trapped in Time. Also as an Easter egg, my kaNO tags are hidden in Gotham City in the DC animated universe. 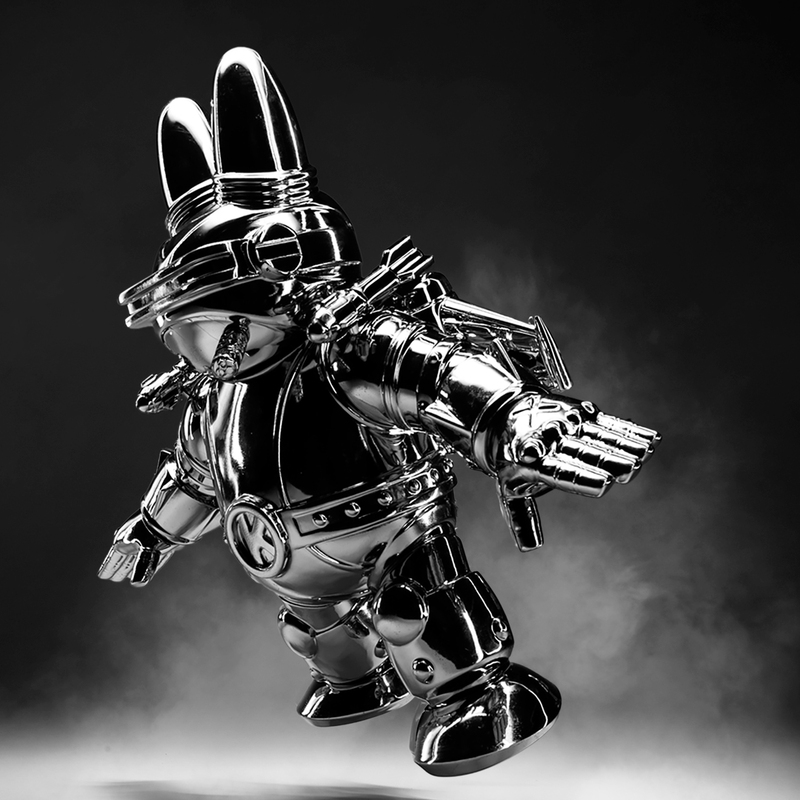 Help Kidrobot and the lovely humans behind Designer Con celebrate artists who have worked their asses off for YEARS (like KaNO) and collect his Kung Fu Dunny and the rest of the DCON Mini Series at the Kidrobot booth 2010 at Designer con and online at www.kidrobot.com 11/16/18. 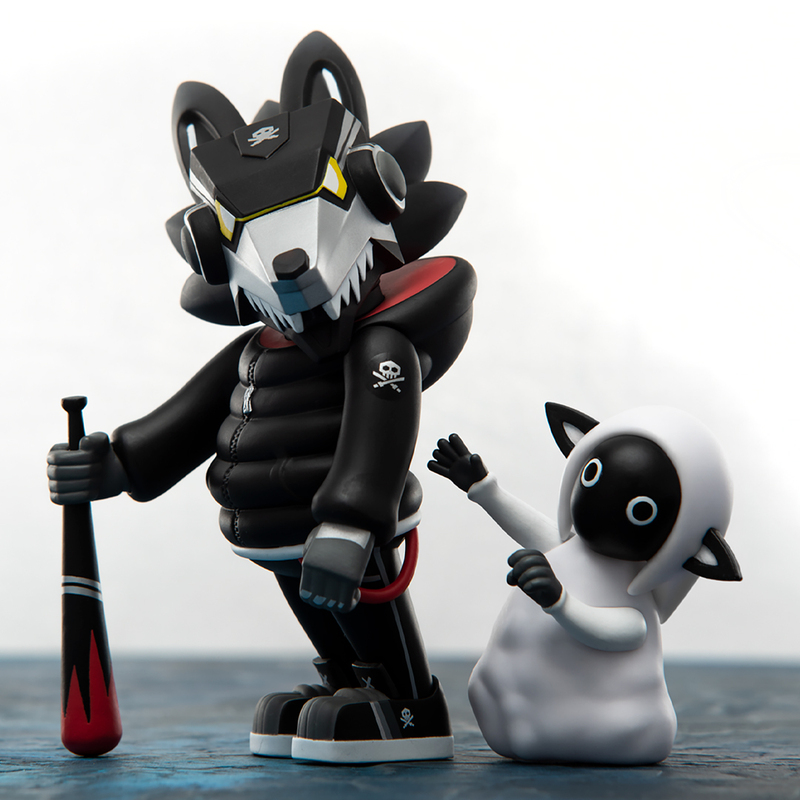 The post Kidrobot x DCON Mini Series: kaNO appeared first on Kidrobot Blog.